826LA is a non-profit organization dedicated to supporting students ages 6 to 18 with their creative and expository writing skills, and to helping teachers inspire their students to write. Its services are structured around the understanding that great leaps in learning can happen with one-on-one attention, and that strong writing skills are fundamental to future success. With this in mind, 826LA provides after-school tutoring, evening and weekend workshops, in-school tutoring,help for English language learners, and assistance with student publications. All of its programs are challenging and enjoyable, and ultimately strengthen each student’s power to express ideas effectively, creatively, confidently, and in his or her individual voice. Imagine LA’s mission is to empower families to transition from homelessness to self-sufficiency. Imagine LA began as an initiative of Bel Air Presbyterian, prior to becoming a separate 501(c)(3) in 2006. The organization was founded by Rev. Dr. Mark Brewer, who had a powerful vision: There are 8,000 homeless families in Los Angeles, and over 8,000 faith communities – imagine if each of these faith communities partnered with a family and aided them in permanently exiting homelessness and achieving self-sufficiency? Imagine LA facilitates a mentorship program that matches families exiting homelessness with volunteer teams from faith communities, corporations, and other committed organizations. Together, they progress through a 1-2 year program that teaches life skills, aids the families in accessing resources, instills confidence and allows every member of the family to thrive. Clickhere to learn more about Imagine LA’s innovative mentorship program. The Los Angeles Youth Network’s mission is to empower abused, neglected and homeless adolescents to become self-sufficient. 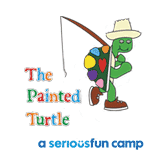 We do this by providing street outreach, food, emergency shelter, a transitional living program, and educational enrichment programs in a safe and nurturing environment. LAYN uses clinical practices that are “evidence-based”: practices that have been researched, tested and found to be effective with populations similar to the one we serve. The practices fall under the category of “trauma-informed care,” meaning that they are specially designed to help individuals who have been traumatized, meet their unique needs, and focus on their strengths. We use “Seeking Safety,” a manualized treatment for trauma and substance abuse, in both individual and group psychotherapy in all of the facilities. It is a highly researched practice that helps teach youth the skills they need to deal with trauma and live healthier and safer lives. We also use Solution-Focused Brief Therapy (SFBT) to help youth deal with problems in the present and find solutions with the guidance of a mental health clinician. Some youth may also engage in Trauma-Focused Cognitive Behavior Therapy (TF-CBT) to help process painful memories and events from the past. The NHM has amassed one of the world's most extensive and valuable collections of natural and cultural history - more than 35 million objects, some as old as 4.5 billion years. Its curatorial staff not only cares for those collections, but uses them for groundbreaking scientific and historic research. The museum also curates new, immersive exhibitions that give visitors the opportunity to explore the "big picture" of our planet - specimens and objects, the stories behind them, and the increasing interrelatedness of the natural and cultural worlds. Peace4Kids provides programs and services for foster and at-risk youth from ages 5-18, and after they transition to adulthood until age 24. Peace4Kids is truly on the front lines in addressing the needs of foster and at-risk youth in the South Los Angeles neighborhoods of Watts, Willowbrook and Compton. 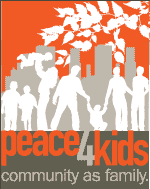 Peace4Kids is dedicated to empowering foster and at-risk youth by providing community as family. We create a strong foundation through programs focused on creative expression and life skills, allowing our kids to discover their unique voice and limitless potential for success. Perkins is an innovative leader in serving people with visual impairments. Strong leadership from both staff and the Board of Trustees has created a legacy of education and discovery. We are always questioning how to best serve our students in the classroom, in the community and around the world. Perkins International is committed to helping marginalized populations who are blind, deafblind, or blind with additional disabilities unlock their potential and realize their unique value as members of their communities. Armenia Taskforce Improves Nationwide Services for Children with Multiple Disabilities. Until recently, children who are blind with additional disabilities in Armenia were not included in education programs and were not identified as a population with special needs. As a result, these children did not go to school or receive any support services. Over the past few years, Armenia started to develop programs to provide educational opportunities to these children. Still, increased public awareness is crucial to making programs widespread and accessible.